Mumbai : Baahubali movie gots the excellent first week worldwide collection especially in USA, Canada, Australia and Gulf countries, the movie is the first movie of india who cross this huge amount 303 Crore on Saturday. This movie earned 50 Crore on first day and it was a record earning of the day. Despite the onslaught of other movie named Bajrangi Bhaijaan is not affected this movie.This movie is directed by S.S Rajmauli and produced by Parshad Devineni and Shobu Yarlagadda. Its music composed by M.M Keeravani . This movie contain Parbhas , Rana Dagubatti, Tamannaah and Anuskha Shetty in lead role. It was released on 10 July 2015. In this film two brothers are fighting for their kingdom. 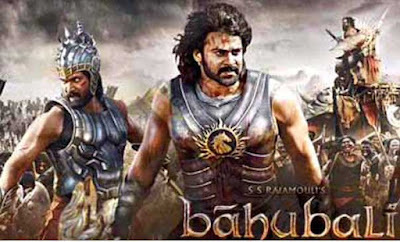 In India’s regionally divided cinema industry, where non-Bollywood films are often released in several dubbed language versions but typically earn most of their revenue in their home regions, Baahubali has proven that an all-India blockbuster hit can come from outside of the Hindi language Bollywood industry. The second part of this film is in waiting it will released in end of the year.